> Our very own head beekeeper has just been crowned… London Beekeeper of the Year! 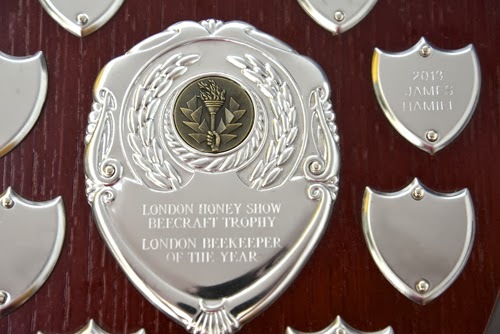 James Hamill received the prestigious award at the 2013 London Honey Show. 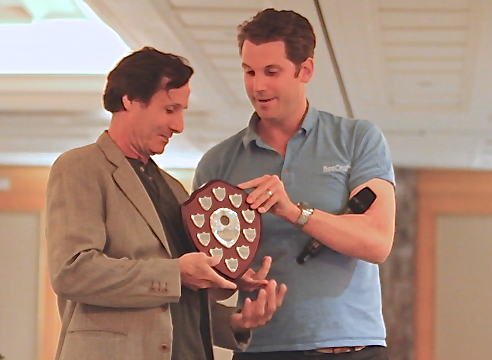 Nominated by a select number of his peers, the award was given in recognition for his conspicuous contribution and unwavering commitment to beekeeping, and bee preservation. James gave thanks to the voting panel, and vowed to continue his mission of the protection of bee habitat through his continuing proactive support, and education, of fellow beekeepers around the world. Of course, we at the Hive Honey Shop are thrilled for James, and congratulate him for this achievement!